For many years, the Bar's Practice Management Resource Center has offered a lending library that ships printed copies of books upon request. As an enhancement to that service, a free online library is now available that allows members to download e-books and audio books to office computers, laptops, smartphones, and tablets. Unlike the lending library, which requires return shipping, the downloadable library items are free to members and will automatically delete after the designated lending period expires. Follow these PracticeEZ instructions to borrow a book today! The Lending Library contains a variety of law practice management publications for loan to SBM members at a nominal fee. 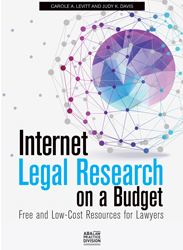 Sample topics include: How to Start and Build a Law Practice, Winning Alternatives to the Billable Hour, Management Tools for Lawyers, a Survival Guide for the Solo and Small Firm Lawyer, Advice for Litigators, Marketing on the Internet, Virtual Law Practice, and much more. By William J. Flannery Jr.